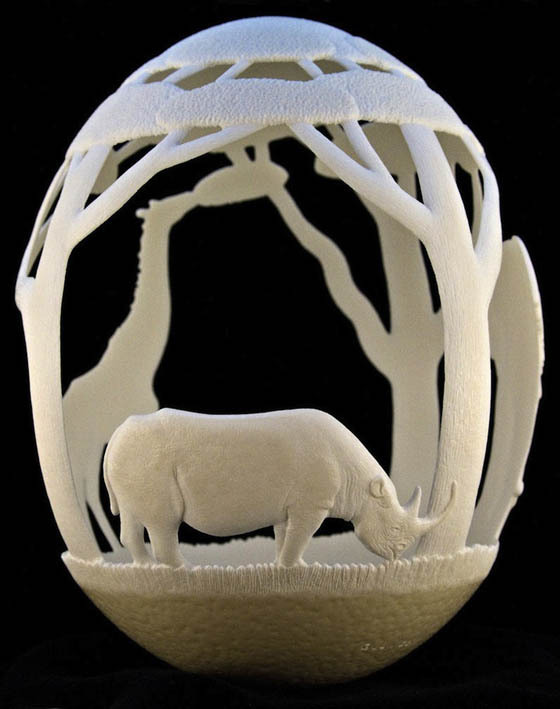 These highly detailed egg shell sculptures are created by artist called Eggdoodler. 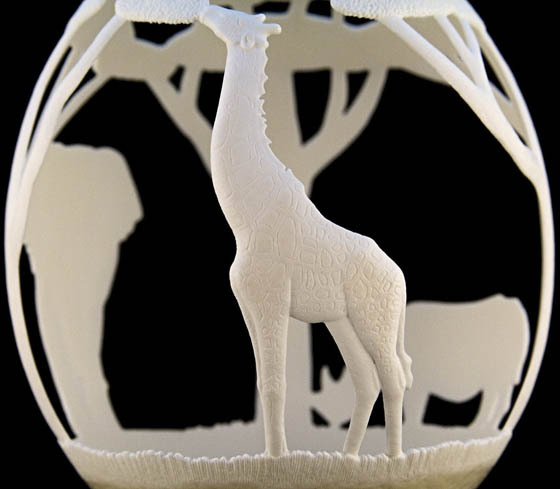 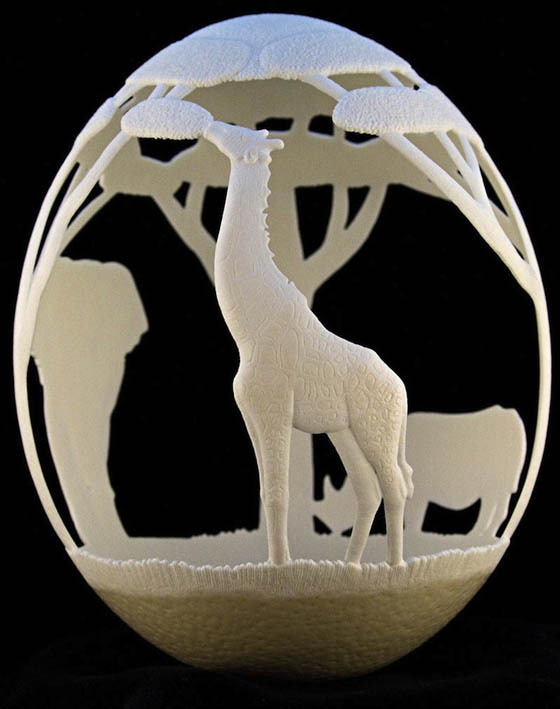 On large ostrich egg, eggdoodler has painstakingly carved out breathtaking scenes. 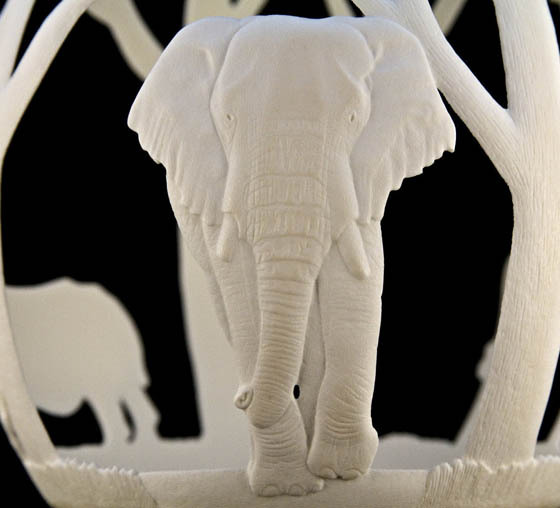 In his lates series “Africa”, he created three gorgeously carved animals – an elephant, a giraffe and a rhinoceros. 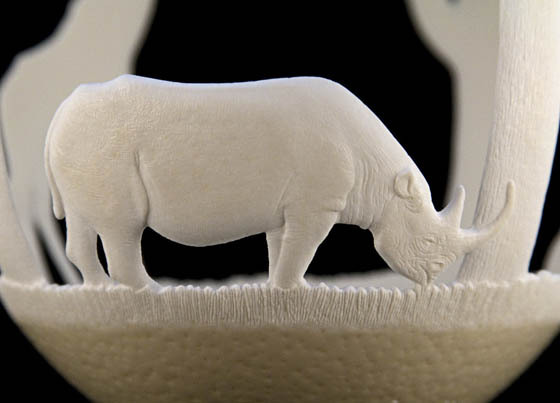 It’s not just the animals he carved, too, but an entire safari scene, complete with trees, grass, and even the most miniscule of details in each. 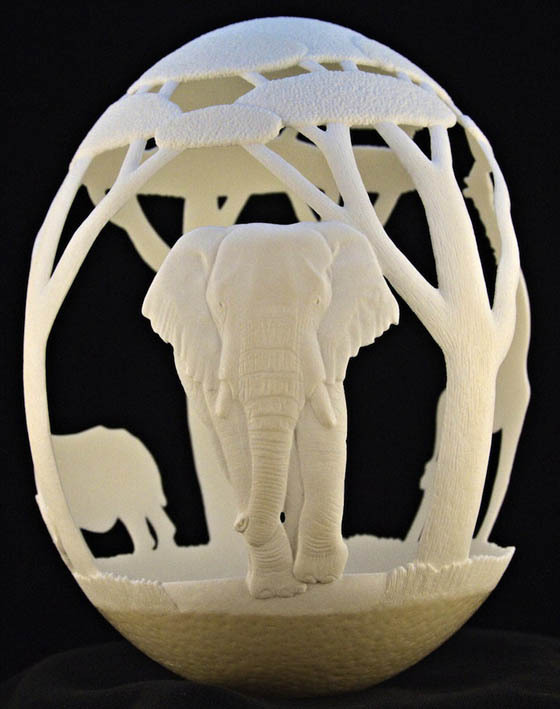 As mentioned by artist, these egg shell sculpture was “altered with a LOT of slow, tiny, gentle cuts” and took around 1,000 hours to complete.